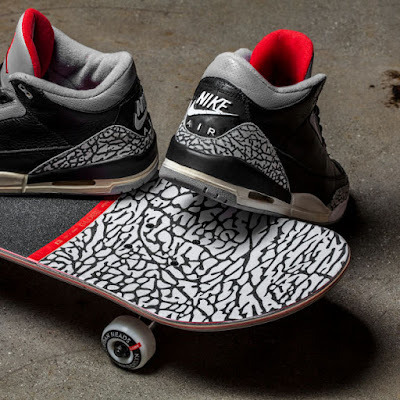 The all-Jordan consignment shop known as Jordan Heads Brooklyn has teamed up with Globe to present a skate deck inspired by the Air Jordan 3 "Black/Cement." 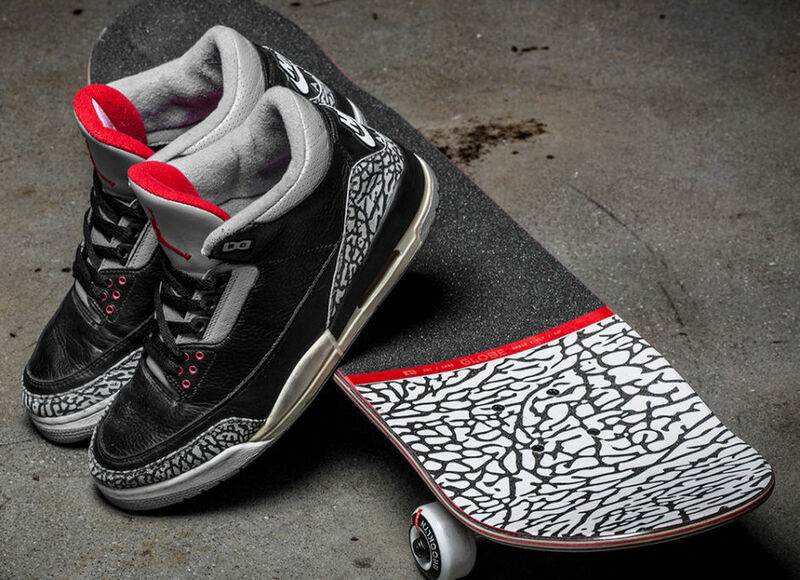 Featuring the iconic cement print on one side and a design inspired by vintage hip hop flyers on the other, the joint venture is a nod to the long-standing relationship between skaters and Jordans. Availability is limited to 85 decks and 23 completes. Get yours at jordanheads.com.